【Time】 Join starting January 19 at 3pm (GMT +8). 【Purchase Limits】min. purchase 0.0000002 BTC, max. purchase 5 BTC per user. For VIP users: min. purchase 0.0000002 BTC, max. purchase 21 BTC per user. 【Lock Cycle】The lock-in period of each BitGrow plan differs. The starting date of the lock-in period begins on the day after purchase period ends. Locked-in assets may not be withdrawn before the end of this period. Plan purchases cannot be refunded. 【Gain Calculation】 The reward rate is outlined in each available plan. Gains will be calculated starting from the end of purchase period. Initial assets + gains will be transferred automatically after 30 days to users’ wallets. ** The expected rate of return mentioned in this product refers only to gains calculated in BTC. 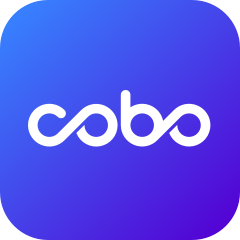 Cobo does not bear the risk of changes in the market value of BTC vis-a-vis other currencies.